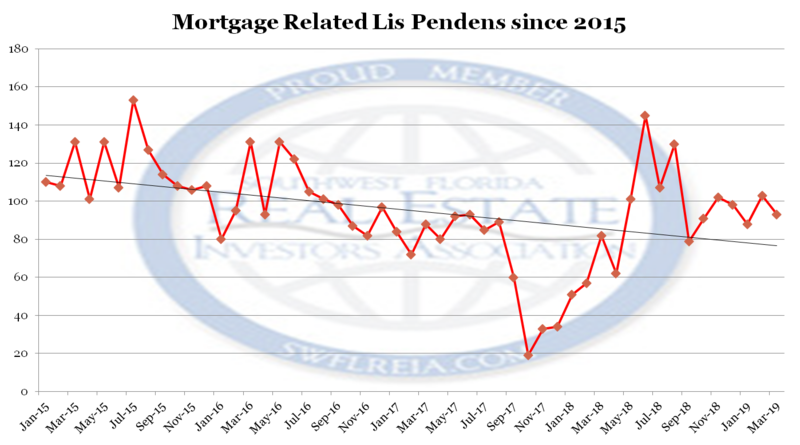 March 2019 Lee County Florida foreclosure report: Trends at a glance. March 2019: 93 Mortgage related Lis Pendens. 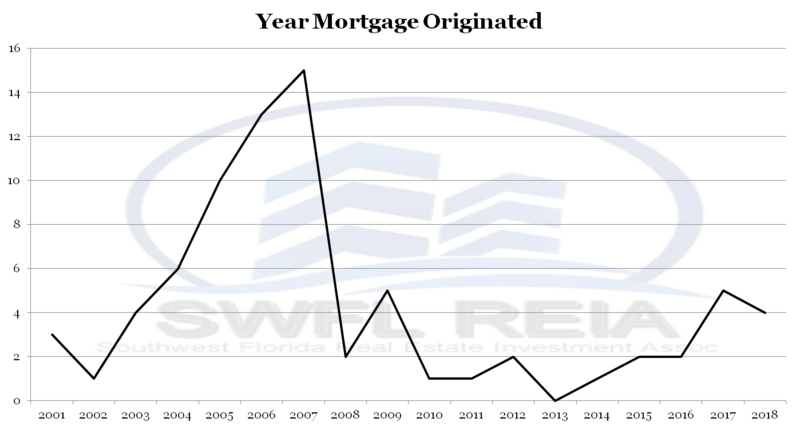 February 2019: 103 Mortgage related Lis Pendens. March 2018: 82 Mortgage related Lis Pendens. March 2019: 48 Certificates of Title were conveyed. February 2019: 40 Certificates of Title were conveyed. March 2018: 53 Certificates of Title were conveyed. 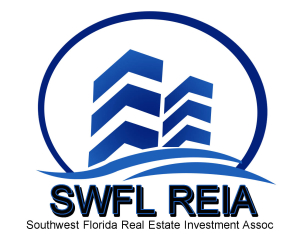 March 2019 Lee County Florida foreclosure report: When was the last payment made? Some thoughts on the metrics of the March 2019 Lee County Florida foreclosure report. 10 of the foreclosure filings appear to be a result of the Bertram Versus US bank decision due to the date of the last payment. If the market is correcting, the distressed market will not be the primary driver.